When you visit Spa at Bell House, your every need and desire is met with old-fashioned Southern hospitality and exceptional care. We offer a wide variety of services and customizable packages that allow you to Relax, Restore and Unwind. It is our goal to make sure that the experience you have at Spa at Bell House doesn’t end when you leave the sanctuary of our spa, so we offer Spa Pantry and Eminence Organic products for you to use at home. 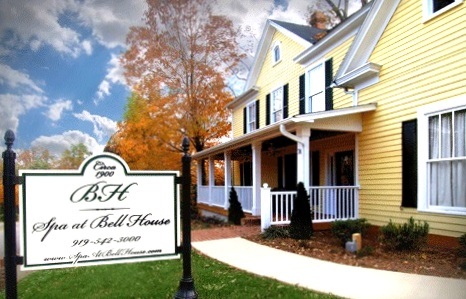 Spa at Bell House is also proud to be a provider of spa services for the Carolina Inn, Chapel Hill’s premier historic inn nestled in the heart of downtown at the doorstep of the beautiful University of North Carolina campus. We invited you to explore our website and services, and come Relax, Restore and Unwind with the professionals at Spa at Bell House.